Bees might have frightened you when you were a kid. They buzz, they sting, their colors are bold and intimidating. That’s some scary stuff. But you’re an adult now, and you know better. Bees are just flies who pack a punch, that’s all—and now that some of them have decided to make a nest on your turf, you’re going to deal with it. You’ve got a long stick and some bee-killing spray. You’re big, they’re small. This’ll be a breeze, right? Wrong. Very, very wrong. Read below to learn why you should let a bee removal service take care of your honey-making houseguests. First off, bee-killing spray kills bees. Professional bee removal experts don’t. They do their best to remove the hive without damaging it or its inhabitants. Then they relocate it. There are no unnecessary deaths, and the bees can get back to making honey and pollinating flowers (an important function for the ecosystem) someplace else. If you aren’t allergic, a single sting just means a few hours of pain. Don’t let that encourage you. When you mess with a beehive, you expose yourself to many, many stings, and the venom does add up. You might vomit, develop a fever, or even faint. Per the Mayo Clinic, multiple stings to a child, elderly adult, or person with breathing or heart problems can constitute a medical emergency. Allergies to bee stings can develop at any time, even if you’ve been stung before without suffering a reaction. According to WebMD, severe reactions can include difficulty breathing, hives, and swelling in the face, mouth, tongue, or throat. If you experience any of these symptoms after a sting, head to the emergency room immediately. Note that pets can also experience allergic reactions to stings. Always keep them away from any bee nests, and monitor them closely if they’re stung. According to Vetstreet.com, it’s best to remove the stinger as soon as possible, because it continues releasing venom for two to three minutes after the sting occurs. If your pet begins showing signs of a reaction, seek emergency care immediately. There’s absolutely no way to be sure that you and your family aren’t allergic. Don’t risk it. Go inside, call a bee removal service, and let them take care of the rest. Yes, bees. Obviously there are bees. Do you know what species Unless you’re an expert entomologist, you don’t. 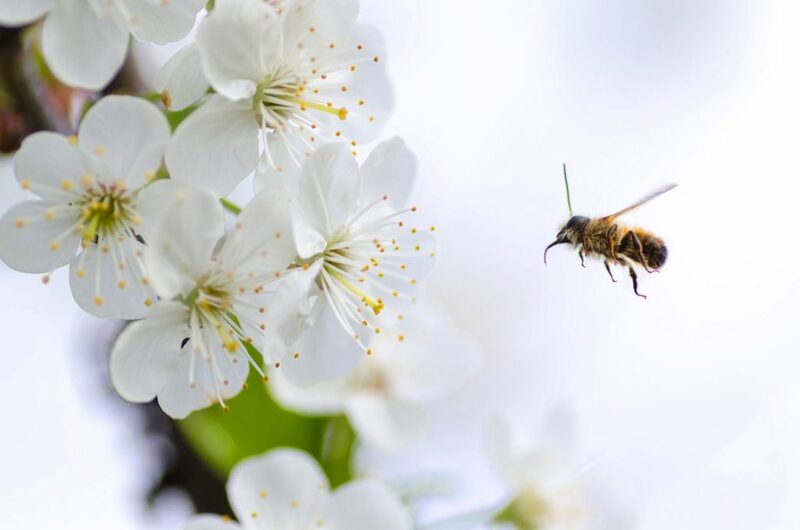 The fact is that Africanized bees, an aggressive and dangerous species that’s spent the last few decades steadily spreading in the United States, particularly the Southwest, are extremely difficult to distinguish from standard honeybees. When people refer to “killer bees,” these are the ones they mean. So, when you start spraying that nest, you might find yourself swarmed by very angry insects who have been known to chase people for a quarter of a mile when on the hunt. Even worse, you’ll put your family in danger, especially your small children and pets. Africanized bees have killed more than 1,000 people across the world, and the smaller the victim, the fewer stings it takes to cause serious damage. Africanized bees sometimes attack without provocation, so the dangers you’ve just read about could be right outside your door, even if you do nothing to disturb the hive. That’s why it’s important to call a bee removal service as soon as you discover a nest on or near your home. On a side note, you may find a hive that you believe is inactive and contains no bees. There’s no way to determine the truth of that assumption without putting yourself at risk, so call the professionals and let them handle it. Do not touch any hive, even if it looks completely abandoned. 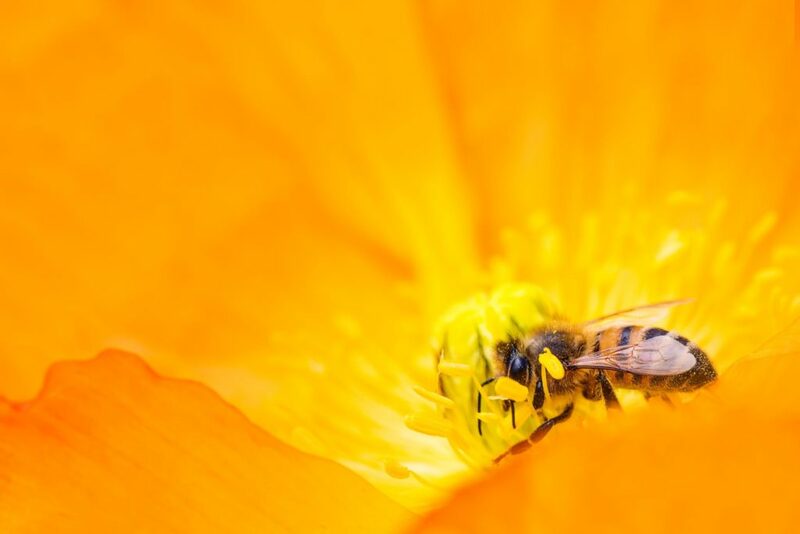 Removing bees from your property isn’t as simple as it sounds. Hives are often tucked into hard-to-reach corners, making it difficult to remove them entirely. If one drops to the ground, all you’ve done is move the hive from above the front stoop to the middle of your front walkway—and it isn’t going to be easy to get past the swarm of angry drones that rushes out. If you aren’t able to remove the whole hive, other colonies may decide to build their homes around the remnants later on, putting you right back to square one. But supposing that you do get your hands on the entire hive, what then? Toss it in the trash? You don’t want bees congregating there. Throw it into your neighbor’s yard? The Homeowner’s Association won’t like that one. Drive it to the landfill? Somehow, getting into a small space with an object that may still contain angry bees seems like the wrong call. Now, even if you do get the hive and find a way to remove it from your property, you may still come home to some very angry bees. Did you think they were all just going to sit there and die while you sprayed their nest? That kind of intrusive hive removal only encourages bees to scatter, leaving some around your home. Professional bee removal experts can prevent all of this. They’ve got the tools and know-how to remove hives completely without enraging the swarm. They bring safe transportation and, because they relocate the bees, don’t have to worry about disposal at all. Scattered colony remnants won’t pose an issue either, because gentle and meticulous hive removal doesn’t give bees reason to exit their home. We hope that you’ll take this advice to heart if you discover a bee nest near your home. By doing so, you’ll keep your family safe, preserve an important element of our ecosystem, and save yourself some hard and stressful work. If you need bee removal in Dallas, Fort Worth, or the surrounding area, consider Legacy Rodent Control. Our Dallas bee removal experts are certified and insured professionals who know how to keep you and your home safe while humanely relocating your unwelcome visitors. We’ll make sure that no hive traces remain and that you’re completely satisfied with our service.